On the 28th (Mon), stroll through Mullaloo Beach and then go for a stroll along the water at Hillarys Boat Harbour. To see maps, where to stay, more things to do, and other tourist information, refer to the Hillarys trip planner . Perth to Hillarys is an approximately half hour car ride. You can also take a train; or do a combination of train and bus. In January, daytime highs in Hillarys are 38°C, while nighttime lows are 20°C. Cap off your sightseeing on the 28th (Mon) early enough to go by car to Margaret River. You'll discover tucked-away gems like Gnarabup Beach and Amaze'n Margaret River. You'll find plenty of places to visit near Margaret River: Cape Naturaliste (Sugarloaf Rock & Bunker Bay). Spend the 30th (Wed) on a tasty journey with a beer tour and tasting. There's more to do: indulge in some culinary diversions at a local gastronomic tour and look for gifts at Moon Haven Natural Products. To find photos, other places to visit, maps, and tourist information, use the Margaret River trip itinerary maker . You can drive from Hillarys to Margaret River in 3.5 hours. Alternatively, you can do a combination of train and bus; or take a bus. Finish your sightseeing early on the 31st (Thu) to allow enough time to drive to Albany. 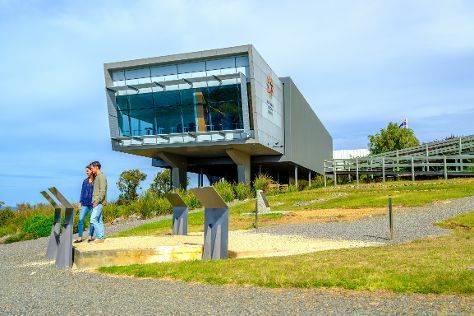 Kick off your visit on the 1st (Fri): explore and take pictures at Replica of the Brig Amity, take in the dramatic natural features at The Gap and Natural Bridge, then steep yourself in history at Princess Royal Fortress, then see the interesting displays at National Anzac Centre, and finally take some stellar pictures from Convoy Lookout. To see maps, other places to visit, ratings, and other tourist information, you can read our Albany trip itinerary builder app . Getting from Margaret River to Albany by car takes about 4.5 hours. Other options: take a bus; or do a combination of bus and flight. January in Albany sees daily highs of 29°C and lows of 16°C at night. Cap off your sightseeing on the 1st (Fri) early enough to go by car to Esperance. Esperance is a town in the Goldfields-Esperance region of Western Australia, on the Southern Ocean coastline approximately 720km east-southeast of the state capital, Perth. Start off your visit on the 2nd (Sat): kick back and relax at West Beach, examine the collection at Esperance Museum, and then kick back and relax at Twilight Bay. Keep things going the next day: explore and take pictures at Great Ocean Drive, tour the pleasant surroundings at Blue Haven Beach, then stop by Mermaid Leather, and finally make a trip to Esperance Whale Tail. Make your Esperance itinerary with Inspirock to find out what to see and where to go. You can drive from Albany to Esperance in 5 hours. Other options are to fly; or take a bus. In February, daytime highs in Esperance are 32°C, while nighttime lows are 17°C. Wrap up your sightseeing on the 3rd (Sun) early enough to travel back home.